This year, by a strange quirk of chronological serendipity, Denmark’s two largest cities will both be celebrating major cultural milestones. According to the – admittedly not always strictly reliable – historian Saxo Grammaticus, it is exactly 850 years since King Valdemar the Great gave the warrior-cleric Bishop Absalon the small fishing hamlet of Copenhagen. Not one to look a gift horse in the mouth, Absalon set about fortifying the hamlet and it soon expanded into a very profitable business enterprise. The rest, as they say, is history. As we are constantly being reminded, glossy magazine pundits worldwide consistently rate Copenhagen as one of the most desirable places in the world in which to live and work. But hype aside, is there really anything that special about the place? Copenhagen Municipality certainly thinks so. Accordingly, from September 8-24, the Golden Days festival will attempt to shed light on what is unique about the city by taking its “cultural historical pulse”, providing some pointers, perhaps, as to what we and the rest of the world can learn from it. In addition to the program and very much in keeping with the spirit of the times, as a warm-up to the festival, Golden Days has launched an online Copenhagen Canon, for which residents and visitors are asked to suggest things, events or places that are atypical Copenhagen. Meanwhile, Denmark’s second-largest city, Aarhus – together with the other 18 municipalities in Region Mid-Jutland – has been chosen as one of the two European Capitals of Culture for 2017. Under the banner ‘Let’s Rethink’, a substantial and wide-ranging cultural program has been set in motion that aims to turn Region Mid-Jutland into “a cultural laboratory where alternative solutions can shoot and grow”. To accompany the festival and to present the program, a richly-illustrated telephone book-sized tome has been produced, complete with introductory messages from various dignitaries including Queen Margrethe II. The book is attractive to look at from a graphics point of view, but not as practical as a pocket-sized guide. In the publicity material, the festival secretariat stress that the celebrations are all about “involvement”, and that the idea is to create initiatives that will get people’s attention and encourage them to get involved and become part of the creative process. Laudable aims indeed, and it all kicks off with a ceremony on January 21 that promises “magical moments with angelic sounds and songs lifted by the wind to soar above the crowds as we welcome 2017”. The program does indeed appear to offer something for everyone. There are concerts, exhibitions, theatrical events, light-shows, lectures, multi-media events – even a crime book festival. It’s easy to be a tad cynical about this kind of promotional exercise. After all, hand on heart, aside from pub quiz aficionados, how many of us can recall which city was European Capital of Culture in 2016 – let alone 2013, or 1999? (answer: Mons and Plzeň in 2016, Marseille and Košice in 2013 and Weimar in 1999!). The argument goes that if enough (usually taxpayer) money is showered on an event (i.e the Eurovision Song Contest, World Cup, a big cycle race) it will then draw thousands of extra tourists (and attendant revenue) to it. Assuming the experience has been positive, a thought will then take root in the mind of said tourist, exhorting them to return to that place again. There is also the matter of ‘branding’, so beloved of tourist-board marketing types everywhere. For some reason, city bureaucrats and politicians seem to get particularly dewy-eyed over this, but it often ends in tears – or, at least, a large hole in the city finances. A good example was in 2005 when Tina Turner was paid 5.8 million kroner to sing a couple of songs at Parken to celebrate Hans Christian Andersen’s 200th birthday. Dr Sebastian Zenker, an assistant professor at Copenhagen Business School, is a specialist in the branding of places. He suggests that if it is done properly, a place branding scheme can accomplish three things. The process can also be used to change the perception of a city. Rotterdam took advantage of this with a very well-thought-out strategy through which they managed to change the image of the city from an old, tired, industrial harbour city and transform it into a vibrant culture centre, rich in exciting modern architecture. Finally, the branding process can be used to motivate and engage local residents. Indeed, Hamburg came unstuck when it tried to attract the Olympic Games as part of a ‘rebranding’ because the residents were not sufficiently behind the scheme and thought it a waste of money to spend so much on sport when there were other, more pressing, problems in the city. As Zenker points out, the bottom line is that “a branding exercise, such as a huge event that is not supporting the existing values of a city and what it offers – and which is not embedded in a long run strategic marketing strategy – is often wasted in the mid and longer term. However, if done strategically and with a long-term perspective, it has the potential to develop potential for the place”. So let’s hope the good burghers of Copenhagen and Aarhus and their environs get to reap long-term benefits from these festivals. Meanwhile, perhaps they should just go out and enjoy what’s on offer. After all, it’s been planned and paid for, and some of it promises to be truly spectacular. – Traditionally, the founding of Copenhagen has been dated to Bishop Absalon’s construction of a modest fortress on the little island of Slotsholmen in 1167, where Christiansborg Palace stands today. 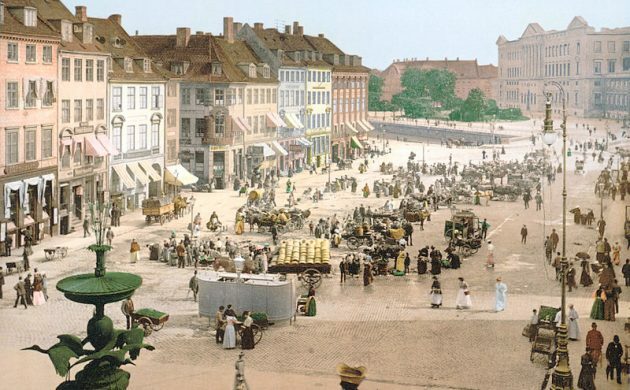 – Archaeological evidence indicates that Copenhagen’s origins as a city go back at least to the 11th century. Many historians believe the town dates to the late Viking Age and was possibly founded by Sweyn Forkbeard. – Substantial discoveries of flint tools in the area provide evidence of human settlements dating back to the Stone Age. 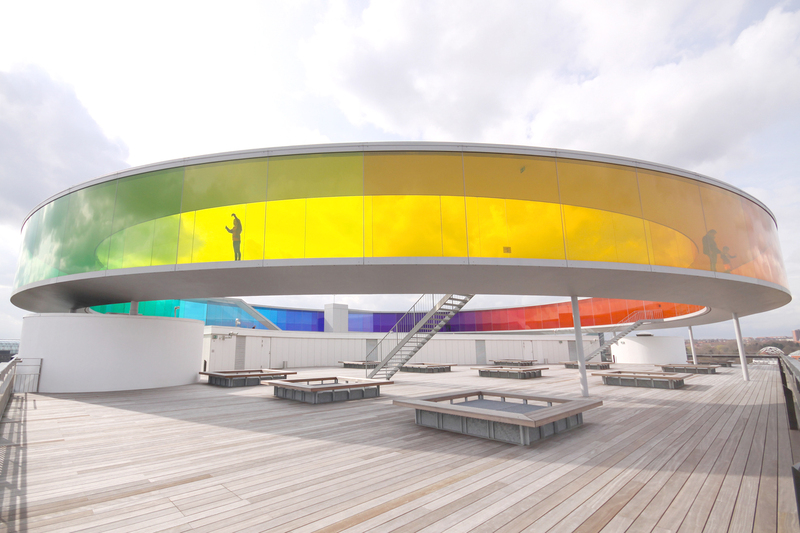 May 24-July 1 at Moesgaard Museum: A unique collaboration between the Royal Danish Theatre, Moesgaard Muesum and Aarhus 2017, ‘Røde Orm’ is a Viking spectacular performed on the grass-covered roof of the museum. Aug-Nov at Musikhuset Aarhus: Susanne Bier’s celebrated film trilogy, consisting of ‘Brothers’ (Aug 16-22), ‘Open Hearts’ (Nov 8-11) and ‘After the Wedding’ (Sep 23-30), has been adapted for the stage in three different genres – as an opera, a dance performance and a musical.